This Developmentally Appropriate Thematic unit is packed with fun and engaging activities that are strategically linked to Common Core Standards. Students from pre-k-1st show interest in the alphabet and have the innate desire to read! Start your school year off with the theme Alphabet Fair. 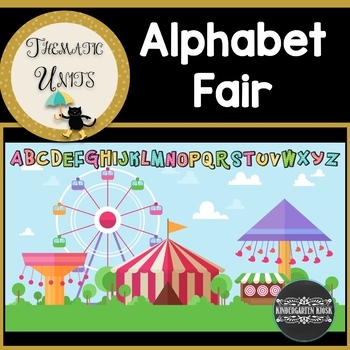 Just like the traditional county fair where locals show off unique talents and personalities, this thematic event will give the alphabet letters a chance to show off! Or have a full-fledged Alphabet Fair with your own children!